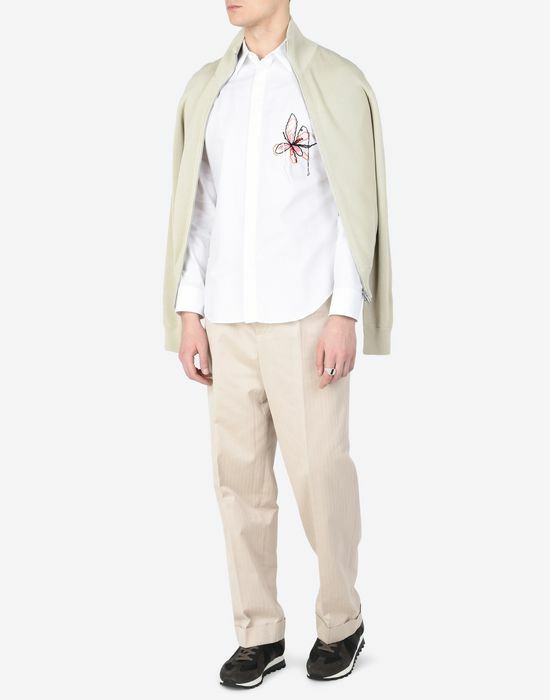 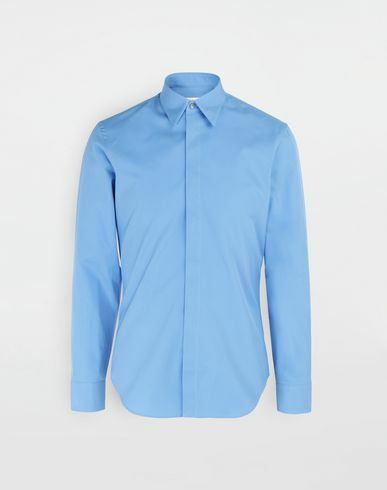 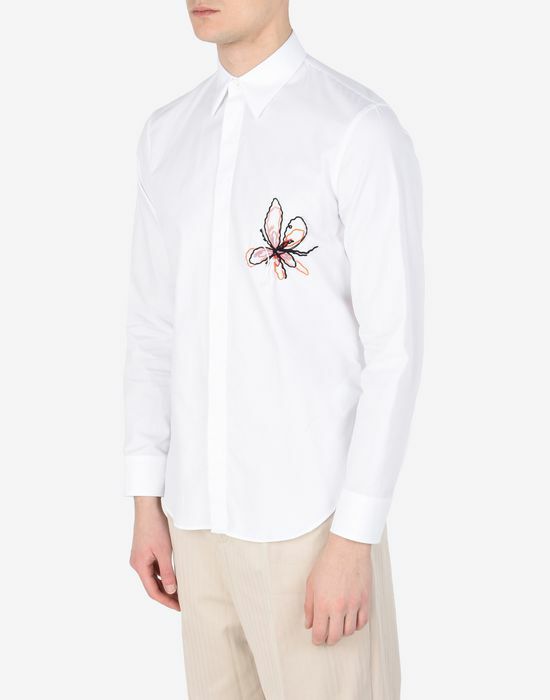 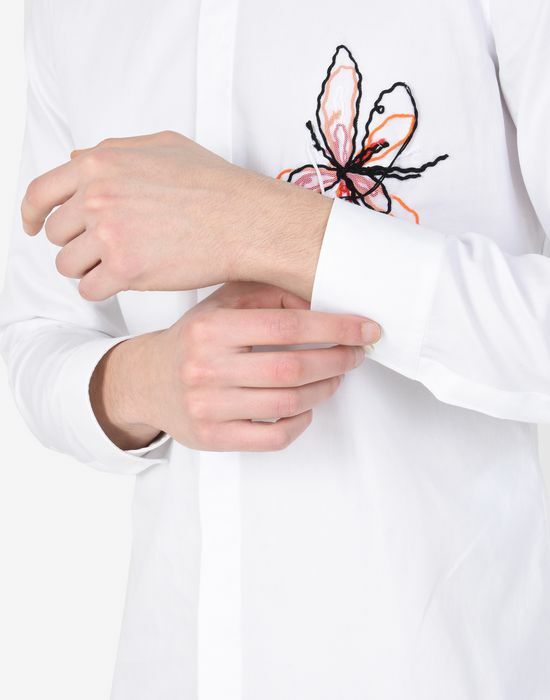 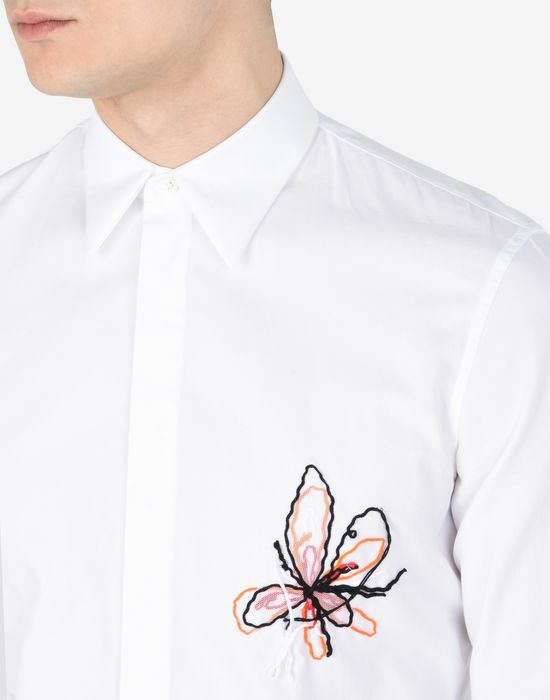 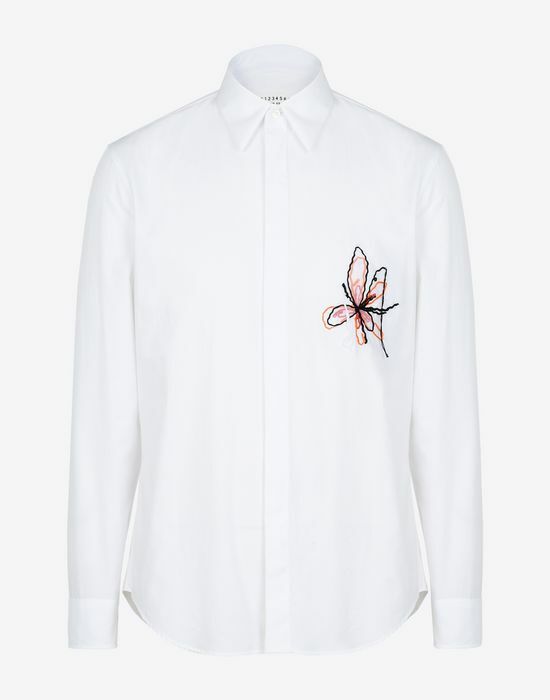 Cotton Oxford shirt with embroidered detail. 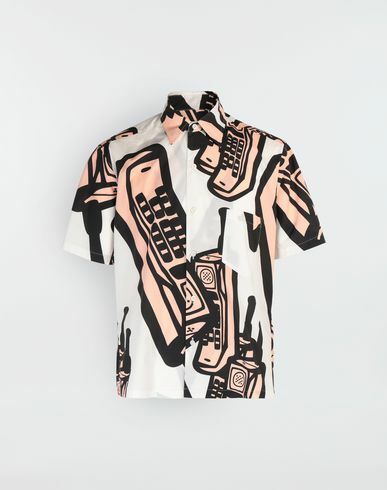 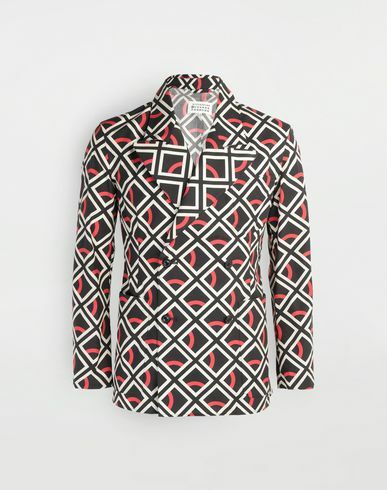 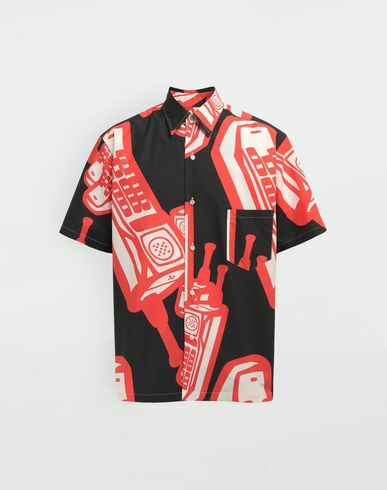 This piece features a hidden front button closure. 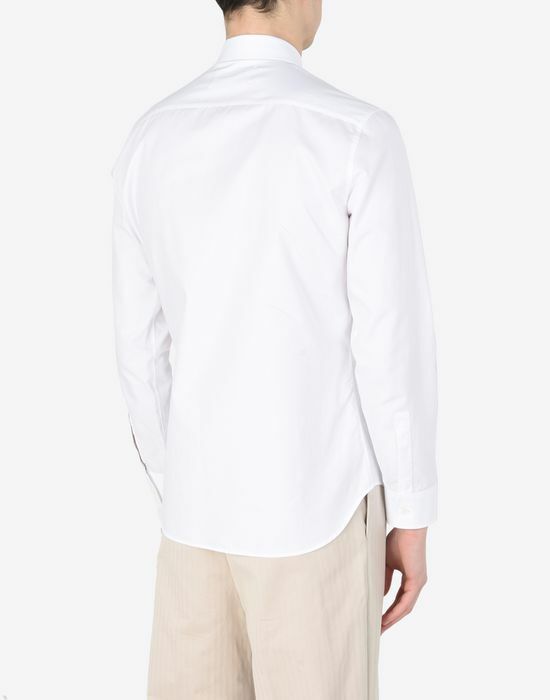 The Maison's iconic 4 stitches are exposed at the back.